^ a b c d e f Burke, Andrew; Vaisutis, Justine (2007). Laos 6th Edition. Lonely Planet. pp. 288–290. ISBN 9781741045680. ^ a b c THE MINISTRY OF LABOUR AND SOCIAL WELFARE. 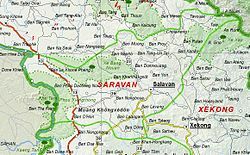 "'CHASING HORIZONS': A STUDY INTO CROSS BORDER MIGRATION AND TRAFFICKING1 IN SEVEN VILLAGES OF LAKHONEPHENG DISTRICT SALAVAN PROVINCE, LAO PDR". Village Focus International. p. 5. Retrieved 6 December 2012. ^ a b c d e "Saravane Province". Lao Tourism Organizaation. Retrieved 1 December 2012. ^ The Lao National Tourism Administration. "Salavan Province". 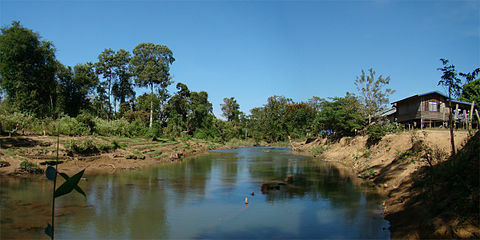 Ecotourism Laos. GMS Sustainable Tourism Development Project in Lao PDR. Retrieved 1 December 2012. ^ a b c d "Salavan Province". 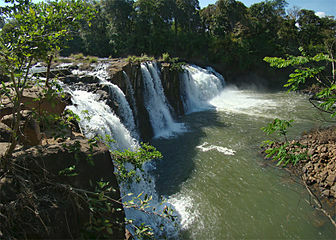 Official web site of Laos Ecotourism Organization. Retrieved 10 December 2012. ^ "Important Bird Areas factsheet: Xe Sap". BirdLife International. 2012. Retrieved 6 December 2012. 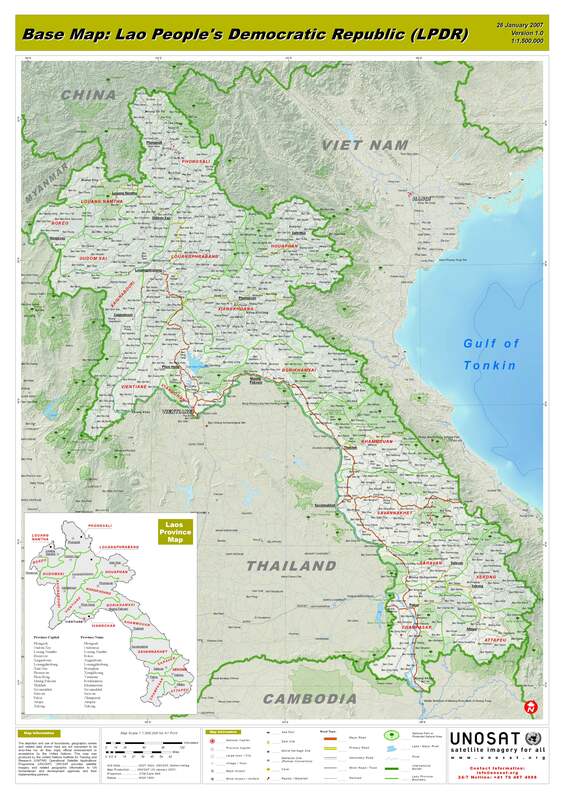 ^ "Important Bird Areas factsheet: Mekong Channel from Phou Xiang Thong to Siphandon". BirdLife International. 2012. Retrieved 6 December 2012. ^ "Important Bird Areas factsheet: Phou Xiang Thong". BirdLife International. 2012. Retrieved 6 December 2012. ^ "Xe Bang Nouan". Official web site of Laos Ecotourism Organization. Retrieved 10 December 2012. ^ Bush & Elliot 2010, p. 298. ^ Miller & Williams 2008, p. 189. Bush, Austin; Elliot, Mark; Ray, Nick (1 December 2010). 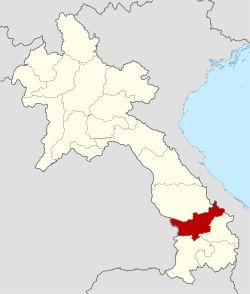 Laos 7. Lonely Planet. pp. 298–. ISBN 978-1-74179-153-2. Miller, Terry E.; Williams, Sean (2008). Southeast Asian Music. Psychology Press. pp. 189–. ISBN 978-0-415-96075-5.